Those who celebrate the Fourth of July should avoid drinking and driving by designating a sober driver or using a car service, bus or other sober transportation, according to the Automobile Club of Southern California. In addition, the Auto Club’s free community service, Tipsy Tow will be available as a last resort during the holiday. For the 20th year, the service is available from 6 p.m. on Tuesday, July 4 through 6 a.m. Wednesday, July 5, to help remove drinking drivers from the road. Tipsy Tow is available in the 13 Southern California counties served by the Auto Club. Tipsy Tow is not offered by all AAA clubs. Motorists, bartenders, restaurant managers, party hosts or passengers of a drinking driver may call 1-800-400-4AAA for a free tow home of up to seven miles. Callers simply tell Auto Club operators, “I need a Tipsy Tow,” to receive the free tow and ride home. A regular Auto Club-contracted roadside service truck will be dispatched. Callers need to keep in mind that the service excludes rides for passengers, is restricted to a one-way, one-time ride for the driver and the destination is limited to the driver’s residence. Reservations are not accepted. Drivers can expect to pay the rate charged by the tow truck contractor for rides farther than seven miles. Drinking drivers frequently don’t plan for other ways to get home because they are concerned about retrieving their vehicle the next day. They cite cost and inconvenience as reasons they don’t use alternate transportation, according to the Auto Club. Tipsy Tow provides motorists with a safe ride home for themselves and their vehicle instead of driving while intoxicated. “Drivers should be aware of the high crash risk from drinking and driving associated with holidays and we encourage them not to get behind the wheel if they’ve been drinking,” said the Auto Club’s Community Programs and Traffic Safety Manager Anita Lorz Villagrana. Fourth of July is a traditional time for barbecues, family gatherings, parties, picnics and activities that contribute to a more relaxed atmosphere and more opportunities for drinking alcohol, according to Lorz Villagrana. It’s also an opportunity to plan ahead and designate a sober driver since law enforcement has planned ahead with increased enforcement patrols, she added. California law enforcement officials arrest large numbers of DUI offenders every year. In 2015, an estimated 214,828 drivers were arrested for the offense, enough to fill Dodger Stadium nearly four times. 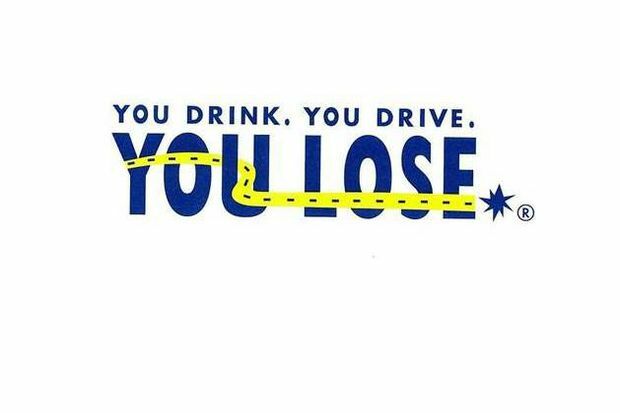 “In California, in 2015 during the July 4 holiday period (July 1-4), there was 271 impaired driving fatalities and injuries, according to CHP statistics. Nationally, in 2015, over the July 4 holiday (6 p.m. July 3 to 5:59 a.m. July 7) 146 persons were killed in crashes involving alcohol, according to the National Highway Traffic Safety Administration. AAA reported that 10 percent of motorists admit to driving when they thought their blood alcohol content was above the legal limit. “This is entirely preventable,” said Lorz Villagrana. People convicted of driving under the influence could lose many of the things they value most in their lives, such as family, job, dignity and money. The Auto Club estimates that a first-offense misdemeanor DUI conviction in California for an adult age 21 or older can cost approximately $15,688 or more in fines, penalties, restitution, legal fees and increased insurance costs. Costs related to DUI have risen sharply in recent years largely due to a large increase in fines and insurance for DUI drivers. The estimated cost of a first-offense misdemeanor DUI for those under age 21 is $22,500. Keep a cab company telephone number in your wallet or cell so you can call for a ride home. There are also apps available to secure a ride home as well. As a party host and good friend or loving family member, offer a variety of non-alcoholic “mocktail” drinks, serve food as well as dessert and coffee and provide a gift to guests who volunteer to be designated drivers. Plan for and allow guests stay overnight. Create a back up plan to spend the night at the party instead of driving home under the influence. Take car keys away from friends and relatives who have been drinking.